Second baseman Andy Young had a hand in both runs as first-place Surprise took a 2-0 Monday night win at Scottsdale. Results from the game played Monday, October 15th. Andy Young drove in the go-ahead run as Surprise edged Scottsdale, 2-0, on Monday evening. The Saguaros (4-1) sit in first place in the West Division, a game ahead of Peoria and four up on Glendale. The visitors generated eight hits, two by Young. 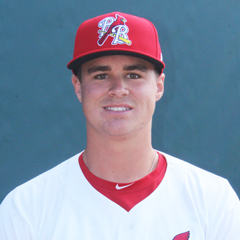 In his first plate appearance, the number five batter lined a two-out single to right with runners on first and second, driving in Cole Tucker (single) (PIT). That run gave Surprise a 1-0 lead through one. After absorbing a swinging K, Young again came up to bat with runners on first and second in the fifth and beat out an infield single to short, jamming the sacks full. Thanks to his single, the team was able to capitalize on a 4-3 ground out that brought Cavan BIggio (walk) (TOR) across home for the final score. Young grounded into a force at second to finish his night at the plate. Defensively, the second baseman took part in one double play. 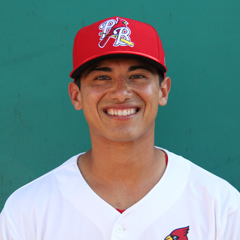 St. Louis’ other Monday representative was catcher Jeremy Martinez, who hit out of the eight hole. Martinez reached base in all four of his plate appearances, working four free passes. Defensively, Scorpions runners swiped three bases in three attempts against him. A quartet of Royals’ hurlers combined on a four-hit victory. Right-hander Scott Blewett (W, 1-0) used four strikeouts to work around two hits and a walk for four scoreless frames in his Arizona Fall League debut. Venezuelan righty Arnaldo Hernandez yielded two hits during his two-inning stint and picked off one at first. Missouri native Grant Gavin fanned three in two innings while Walker Sheller faced the minimum in the ninth for his second save. Cincinnati right-hander Austin Orewiler took the loss.